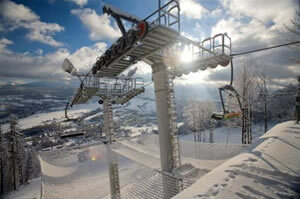 Total Lifts: Over 50 on separate ski areas in and around Zakopane within a 10 mile radius. Some ski areas are small, others, like Kasprowy Wierch, are very large. On an average Sunshine World week our guests have access to roughly 22 different lifts. Total pistes/trails: 21 (this is a rough estimate of pisted runs available throughout our average weekly itinerary to the areas we frequent most often). 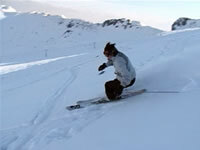 Ski Lift Opening times: 9.00 till 22.00 (NB not all areas stay open this long. Bialka Tatrzanska has the longest opening hours).